Hoping Old One storyboarded the Xeno to do some crab-walk. I just love me some crab-walk! I hate the crab walk! I can see why they excised it. It's so goofy looking and so obviously a man in a suit. It also reminds me of playing this weird game with a huge beach ball in gym class in elementary school. Where everyone was forced to crab walk and kick while crab walking. Congrats Old One! That's a huge coup! Really looking forward to seeing your film. All the films. Old One that is awesome news. Congratulations. Bravo Old One! I can't imagine how awesome it must feel to know you left your mark on an official Alien in universe product. And I'm really liking the trailer. I expect it to be comprehensive. Likely to coincide with the Hollywood Reporter article. It was probably just a mistake. I’m sure, it just seemed goofy to yank it when it’s so close to the intended reveal anyway. And congrats to Old One. That’s awesome. The suit's a surprise indeed. Congratulations, Old One! That is so awesome. Can’t wait to watch these shorts. The film's Covenant's suit is absent. A variation of the design is present though. I realize I was not involved and you were but respectfully... The suit is clearly the removed-from-the-film Odd Studio suit created for Covenant. It has the exactly same face/mouth and floating/blank space shoulder arches. 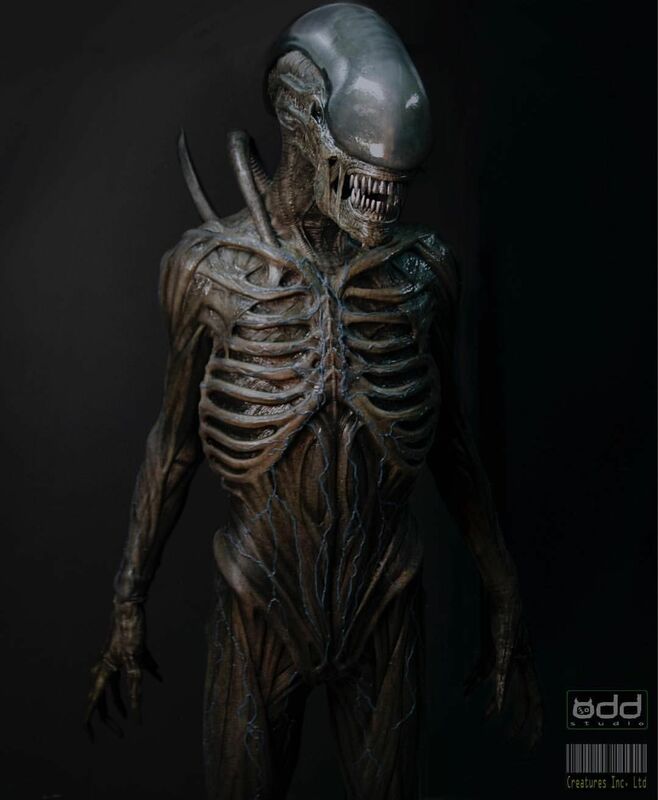 I mean it IS the suit we have seen on the James Corden show, on the Covenant BTS videos and on the weird marketing video for Alien Blackout.